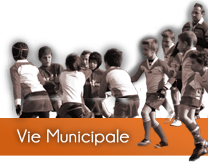 Chamalières has several buildings included in an inventory of protected historical monuments. The Notre-Dame Church is a remarkable monument that romantic painters and designers have often chosen as a subject. It is of Carolingian origin, without a transept. In the thirteenth century, the canons brought many changes, in particular replacing the Roman pillars with Tuscan pillars. Until the Revolution, a sort of dome (as seen on a drawing which represents Chamalières in the fifteenth century) surmounted the church. 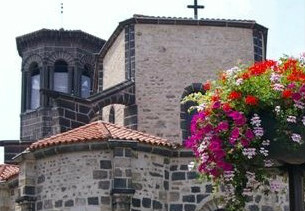 It was replaced in the nineteenth century by the current bell tower. In the interior, there are many interesting gravestones. This magnificent manor was built in 1587. This private property, in the heart of Chamalières, is surrounded by wet moats and so has the remarkable feature of a drawbridge always in operation to reach this small, two-storey rectangular castle, with a polygonal tower projecting from the facade (listed since 1942). Built during World War I in the style of the Belle Epoque, it was a hotel annex of the Grand Hotel, which hosted great personalities like the King of Belgium Leopold II, the future Edward VII of England, and Churchill. 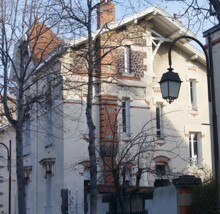 Converted into apartments, it has been listed since 1975. 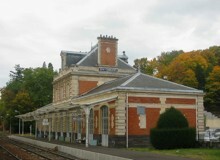 Created in 1881 to serve the thermal spa of Royat-Chamalières, it was put in active service at the same time of the Clermont-Tulle line and the railway viaduct (listed since 1994). 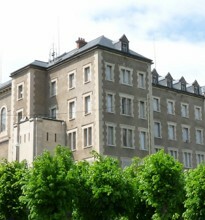 The former residence of the Sisters of Saint-Joseph-du-Bon-Pasteur was transformed into a rest home in 1903, and then was a hospital until 1990. This building has been listed since 2011. 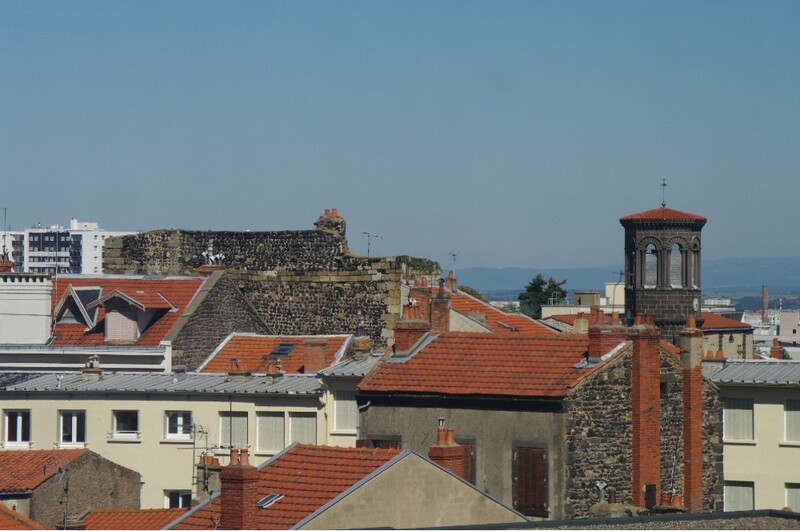 From the Sully square to the west, that is to the heart of the old town, in the street in the direction of Languedoc, you can see the wall of the Saracens over the rooftops. These are the remains of the ancient feudal dungeon of the Lordship of Chamalières, built in the tenth and eleventh centuries. This convent, established on the land of Fontmaure, was built in 1930 to host the contemplative Order of the Capuchin Clarisse Sisters. This work of the architect Louis Jarrier, former seat of the African Missions, became a seminar of the diocese of Clermont in 1910, until it closed in the 90s. It was listed as a historical monument in 2012.